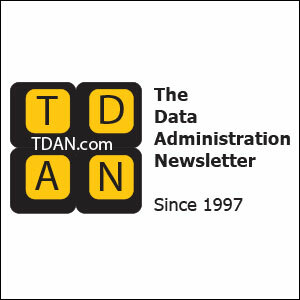 It is with great pride and excitement that I announce the re-birth of The Data Administration Newsletter – most often known as TDAN or TDAN.com. TDAN.com has been my business since 1997 and I am happy to say that it will be around for many years to come. I am extremely happy to announce that I have joined forces and partnered with DATAVERSITY to redesign, repopulate and re-announce the online publication that was before it’s time for so long. TDAN.com has gone through some major changes over the years. The biggest change is what you see in front of you today. TDAN.com has embraced social media, added RSS feeds with constant news stories, retained and added authors, added blogs, and basically redrawn the website and expanded the reader-base to include newer information-era data practitioners and experts from all aspects of the burgeoning data management industry. TDAN.com has done this while maintaining some of the delicate charm that I have attempted to impose on my readers for almost the past two decades. 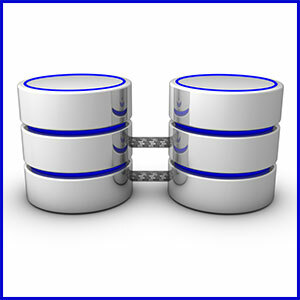 TDAN.com continues to cover all data – Big Data and small, structured and unstructured, governed and should-be governed. TDAN.com continues to expand into the world of data analytics, the internet of things, the heavily-scrutinized protection and privacy of data, advanced metadata and smart data best practices. TDAN.com continues to provide all of the content since 1997 and new-and-improved content addressing the most important issues of the day. The new TDAN.com would not be possible without the assistance of many people – many who are team members of DATAVERSITY. Tony Shaw (DATAVERSITY CEO), Shannon Kempe (DATAVERSITY Executive Editor and TDAN.com Project Manager) and Matt Delong are only the tip of the DATAVERSITY iceberg that have made this transition possible. My friendships with Tony, Shannon and Cristina Lim (on the conference side of Tony’s business) have been constants for much of my professional life. Moving forward, DATAVERSITY will play a major role in the production of TDAN.com. I am happy to announce that Haleigh Wright, a Big Data Grant Awardee for her studies in Data Science is on-board as my Publication Assistant. Haleigh is a bright and energetic young lady that plays a vital role in several aspects of TDAN.com including regular communications with the media, authors and partners of TDAN.com. Welcome Haleigh and give her the respect she so deserves. Joyce Kane now handles the social media aspects of TDAN.com after providing valuable services for the renewed KIKConsulting.com and KIK Consulting’s venture into the world of Facebook, LinkedIn and Twitter. Please welcome Joyce and assist us in growing TDAN.com in ways never seen before. My younger daughter Mandy, a Writing, Literature and Publishing major at Emerson College, is proving incredibly valuable as an editor of the publication’s content. The idea for a publication to assist myself and others in succeeding in the data management space came from – geez, I’m not really that certain anymore. In 1996 and 97, my responsibilities around managing data were somewhat new. The internet was somewhat new. I found the internet to be a helpful resource in learning about data administration best practices. But it was not helpful enough. I guess that is where the idea came from. By 1997 I was speaking at User Group conferences for RelTech, Platinum Technologies, local User Groups and even an IDUG (International DB2 User Group) conference or two, sharing my experiences with managing data and metadata at the large health insurance company where I was an internal Data Consultant. Through the speaking engagement exposure I learned from many great people, built many strong business relationships and made many great friends. Tony Shaw of DATAVERSITY now and of TTI/Vanguard at the time, is one of those people, relationships and friends. The following timeline walks you through the history of The Data Administration Newsletter from its inception to where we are today. If you have enjoyed the ride with me, take a quick walk down memory lane. If you are newer to the publication or did not know its history, enjoy the ride. January 1997 – Robert S. Seiner starts planning for the production, delivery and sharing of Information and Data Management tips and techniques through an “on-line” publication over a budding new channel – The Internet. At the time, Seiner is an internal Data Management Consultant for one of the largest health insurance companies in the United States. March 1997 – Seiner introduces the idea of The Data Administration Newsletter (TDAN) at the industry’s largest conference focused on Data Management and Metadata Management. The conference is the Data Management Association International’s (DAMA International) Annual Symposium and is organized by DAMA International and Technology Transfer Institute (TTI – a harbinger of DATAVERSITY). The name “The Data Administration Newsletter” was suggested by Craig S. Mullins, a collegiate friend of Seiner, an industry thought-leader in Database Administration and the most consistent author of valuable articles and columns to the publication over the years. June 1997 – The first issue of TDAN as a quarterly publication is made available and announced to a registered reader-base of more than 250 people. 1999 – Seiner leaves the corporate world and joins a small, prestigious, data-focused consulting firm’s National Practice made up of internationally respected consultants, authors and educators. Several of these notable consultants including (but not limited to) Barbara von Halle, Tom Finneran ESQ and Terry Moriarty, heavily influence Seiner’s career as well as provide articles critical to the publication’s early success. 1999 – TDAN moves to its own domain and becomes known as TDAN.com. 2000 – TDAN.com survives the Year 2000 scare and registers its thousandth subscriber. 2002 – Seiner leaves the now-large (through being acquired) consulting company to start KIK Consulting & Educational Services, an Information and Data Management consulting firm as a logical extension of TDAN.com. KIK stands for Knowledge is King and focuses on sharing and transferring knowledge about Data Management best practices. 2002 – TDAN.com begins entering media arrangements with the Data Management industry’s leading events nationally and internationally and dramatically increases it exposure around the world. 2005-2010 – TDAN.com is awarded “Best on Web” and “Editor’s Choice” honors by the likes of AOL, Netscape, @brint.com, datawarehouse.com, searchdatabase.com and Emerald. The publication has becomes one of the most highly recognized sources of content for Data Management professionals. January 2007 – TDAN.com celebrates its 10th Anniversary by providing a new look as it moved its content out of straight HTML / FrontPage and into a content management system operated by the Business Intelligence Network (BeyeNETWORK). The publication kicks off the year as a monthly publication and has remained that way ever since. April 2007 – TDAN.com and Robert S. Seiner are recognized by DAMA International with the 2007 DAMA International Professional Award for Significant, Demonstrable Contributions to Information and Data Resource Management. 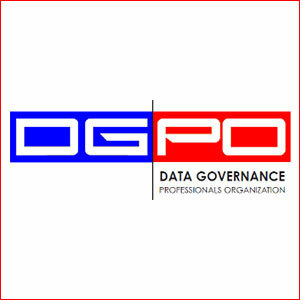 January 2012 – TDAN.com’s Bob Seiner partners with DATAVERSITY to initiate and provide the industry-leading webinar series focused on data governance titled Real-World Data Governance (RWDG). RWDG continues presently on the third Thursday of every month at 2pm EST. More information about the series, as well as recording of the complete series are available on DATAVERSITY.net. June 2012 – TDAN.com celebrates its 15th Anniversary with little fanfare but a registered subscriber base of close to ten thousand data management professionals. August 2014 – TDAN.com goes on content hiatus as it seeks to relocate its content, redesign the e-publication and adopt a social media oriented approach to content distribution. September 2014 – TDAN.com’s Bob Seiner, publishes his first book – Non-Invasive Data Governance – The Path of Least Resistance and Greatest Success – through Technics Publications. Technics is owned and operated by Steve Hoberman, a long-time contributor of a regular column and other articles on these pages. TDAN.com welcomes Steve back as a regular columnist with his quarterly column – The Book Look. July 2015 – TDAN.com is rejuvenated with the same name, same address and celebrated continuous content provided by thought-leaders and practitioners alike. TDAN.com is thrilled to announce that the publication is now powered and produce by DATAVERSITY, coming full-circle, and embraces social media in its return to the information and data management landscape.